Over 20 years later, we still keep these goals at the forefront of our business. We've developed many wonderful relationships with women and men who have found the wonderful benefits of using natural progesterone. 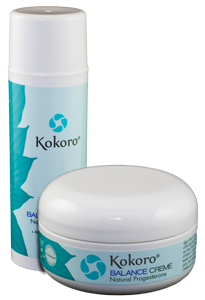 Paraben Free - We do not use paraben-class preservatives. 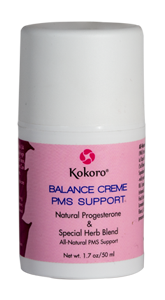 Soy Free - None of our progesterone creams add estrogen-enhancing herbs. Excellent Absorption - You'll be amazed with the light, creamy feel of our creams that absorb well. No added color or fragrance - Nothing artificial to "enhance" our creams. PETA approved - Even PETA likes our approach. Our original product with approximately 22 mg progesterone USP per 1/4 teaspoon in two convenient sizes. For the woman who wants something extra: 30 mg progesterone USP per 1/4 teaspoon. Our original product PLUS added herbs to assist with PMS Symptoms. Both products contain state-of-the-art Fine Line Reduction and Enhanced Moisturizing Ingredients. 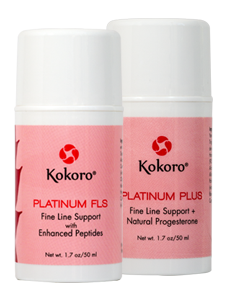 Platinum Plus also contains 22 mg progesterone USP per 1/4 teaspoon. With so many choices in the marketplace, we are often asked, "How do I pick a good progesterone cream?" To help you cut through some of the confusion we wrote a simple guide to help answer your questions. This pdf e-book is yours simply for the asking. Click here to get your download and it comes with no obligation to buy anything. ProgesteronePlace.com opens with a recording of Dr John R Lee, MD that we made in Columbus, Georgia where we sponsored Dr Lee to speak to over 200 women in 1998. This presentation contains Dr Lee's main lecture along with nearly an hour of questins and answers.